In 2000, Kellie started her journalism career at the San Jose Mercury News in Northern California as a copy editor. After two years, she transitioned to reporting, covering city government, crime, education and other breaking news. In 2005, she headed south where she was the L.A. correspondent for The Recorder, a legal and business newspaper. 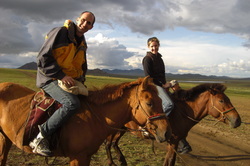 Kellie spent the last two years reporting from China, where she was a regular contributor for the CNN travel and lifestyle Web site CNNgo.com. She also wrote articles for The Economist's Business China, the Wall Street Journal, Marie Claire and Afar Magazine, among others. 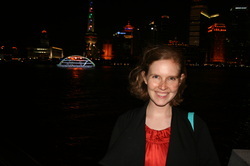 While in China, Kellie was a restaurant reviewer for City Weekend Shanghai and edited the 125-page Shanghai Business Dining Guide. During her time in Asia, she drank fermented mare's milk in a Mongolian yurt, attended a mail-order bride’s wedding, donned qipaos with Shanghai’s senior citizens and traveled to the most polluted city in the world. Now, she and her husband live in California's Central Valley, where Kellie is working as a health writer.